The RCG Mortgage Calculator can calculate a number of unknown values including affordable home price, monthly loan payment or percentage of cost available as down payment. It can create a detailed amortization schedule with date based payments and charts. 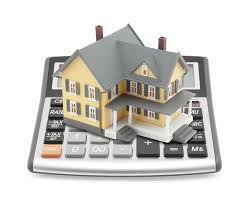 The calculator optionally supports points, private mortgage insurance (PMI), property taxes and hazard insurance. It also creates amortization schedule and charts. You can also select your own currency and date convention.